Hepatitis C is a curable disease but it was not so comfortable and effective in the past. Today, there are various medications available which do not help the patient cope with the disease but also cure it. For decades, Hepatitis C patients needed shots of interferon and ribavirin pills. While these medicines amped up the immune system and helped to fight the disease, they didn’t target the virus that made the patient sick. So, mentioned below are the most popular medicines for Hepatitis C, today! Today, more people are getting rid of the virus by simply taking a pill for only a few weeks. Several options are available which help the patient do without having to get shots. The pill treats type 1, 4 and 6 HCV and needs to be taken once a day. The pill has great potential due to which it may also offer hope for people with Hepatitis C who also have HIV, late-stage kidney disease and cirrhosis among other conditions which are hard to treat. The side effects are quite similar to other antivirals such as headache, bellyache and tiredness. It is another once-a-day pill which treats type 1, 4, 5 and 6 Hepatitis C. It was a revolution in Hepatitis C treatment and was the first interferon-free med for people with type 1 Hep C. While its side effects are mild, a patient might feel tired and have a slight headache. Some patients also experience a slight bellyache, diarrhea and trouble sleeping. 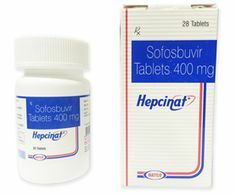 The tablet is used in combination with other medications such as ribavirin, daclatasvir, and pegintereferon for the treatment of chronic hepatitis C. It targets and reduces the hepatitis virus within the body and keeps the liver disorders such as cirrhosis and liver cancer at bay. Side effects include itchiness, nausea, diarrhea, drowsiness, rapid breathing and heartbeat and skin paleness. This treatment is known to work well for people with type 1 HCV. It also works if you have some liver scarring, but as long as your liver is functioning. You need to take a pill a day and another pill twice a day. While some people may find it clunky, most others say it is much better than getting shots. Side effects include weakness, itchiness and having trouble sleeping. The medicine is very strong and may cause liver damage in people with advanced cirrhosis. Next Next post: How to Get High GRE Scores?